There are several remedies that Ayurveda has in regards to improving the eyesight. These includes rituals, practices and herbal eye care routines. They aren’t just limited to adults so use these eye care tips for children as well. Like most things, Ayurveda believes that an eye infection, weakness or any disparity in eyesight is caused by an imbalance in one or more of your doshas. 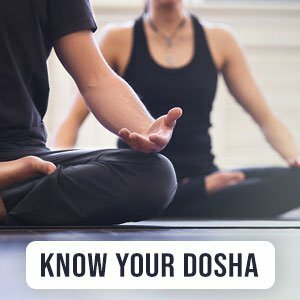 (To find your dominant dosha, take our quiz here). Bad or poor eyesight in Ayurveda is known as Drishti Dosha, and the Pitta dosha is responsible for maintaining one’s eyesight. The Pitta dosha may weaken due to various reasons including aging. Ayurveda uses an all-inclusive approach to maintaining proper eye care. With most ailments, a deficiency may most commonly be triggered by what we consume. To maximize our body's potential, Ayurveda believes in following the practice of Ritucharya, especially when it comes to one’s diet. Ritucharya is practice of living seasonally, and you can find out more about it here. Additionally, there is a link between healthy bowel movements and eye problems such as cataracts. A lot of our recommendations can help soothe your stomach. That being said, here are some common practices in diet which can improve your eyesight. The key is to increase your vitamin A: This has been shown to help reduce the pressure on your peepers and can even improve eyesight. These are some great herbs, nuts, fruits and veggies to add to your diet to help boost your vision. Try this DIY Ayurvedic tonic for improving eyesight: Crush cardamom seeds into a rough powder and mix with a spoon of honey. Have this once daily. Amla Juice can be had twice a day, about 25-30 ml. Bhringaraj oil can also be used for hair fall as well. While you are rubbing the oil on your head, you can gently oil onto your eyelids. This can help relieve pressure in your eye sockets. Triphala powder is another important supplement that helps your digestive tract and bowel movements; as mentioned above this can directly help prevent cataracts.